Home » SD Connect configuration » SD Connect configuration Road24h mode. Setup connection. 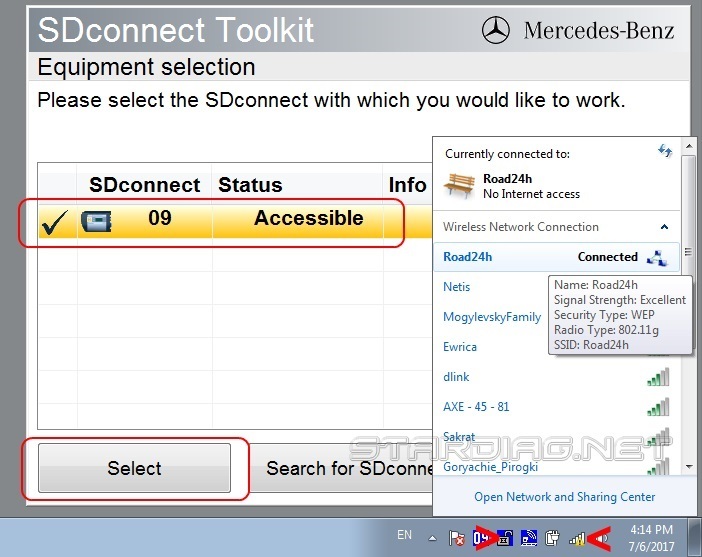 SD Connect configuration Road24h . 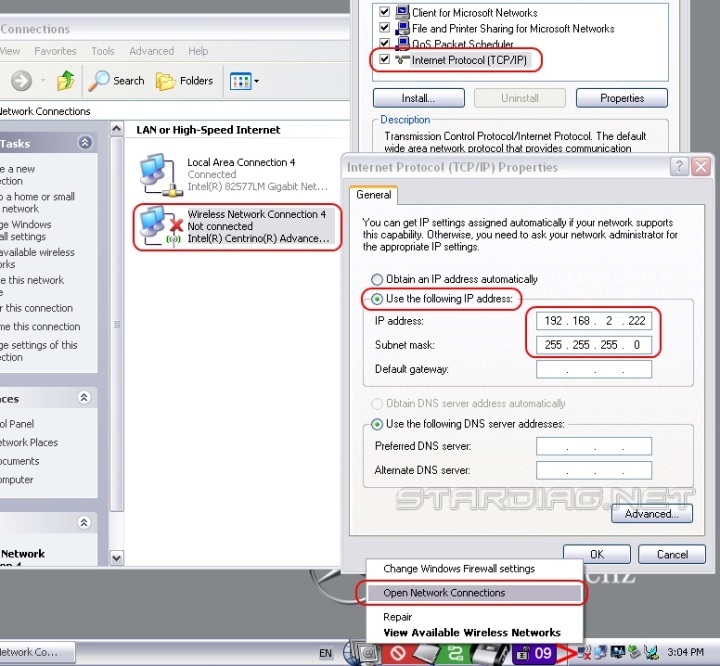 Setup and connection via LAN cable and Wi-Fi direct connection. 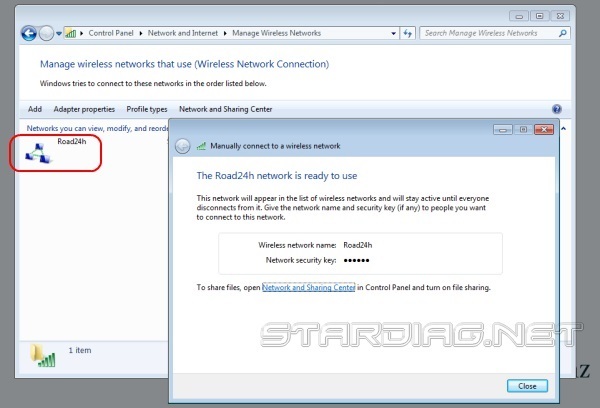 Configuration Road24h mode for Windows XP. 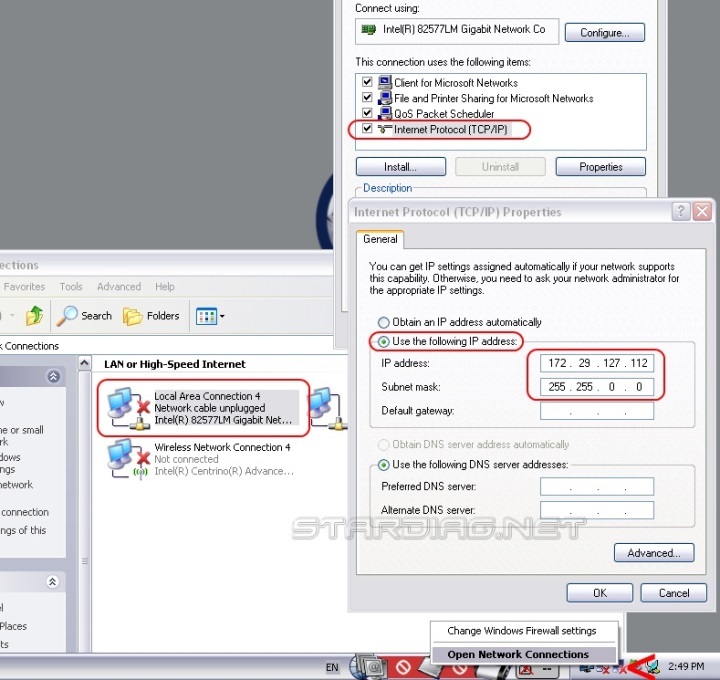 Configuration Road24h mode for Windows 7. 1 . 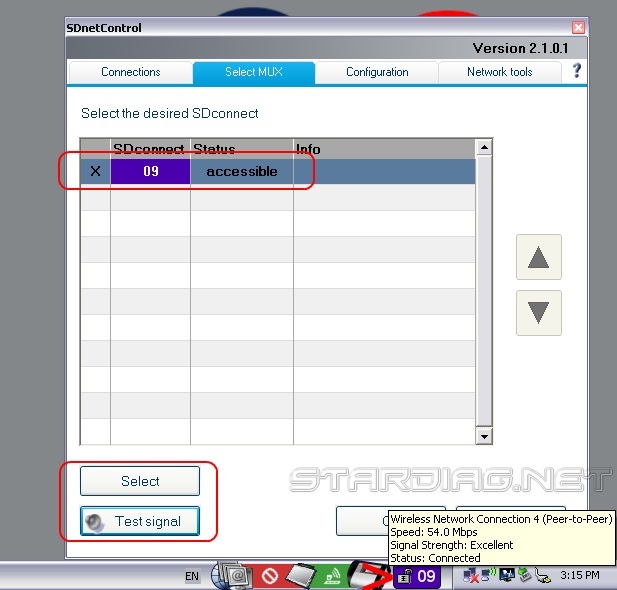 SD Connect configuration Road24h mode for Windows XP. 1.1. 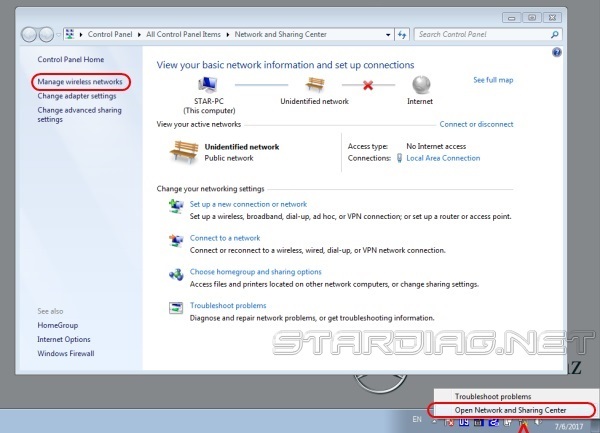 Make the configuration of the laptop for the LAN connection. Connect the device to power supply and to the laptop by cable. The device is ready for operation via the lan connection. 1.2. 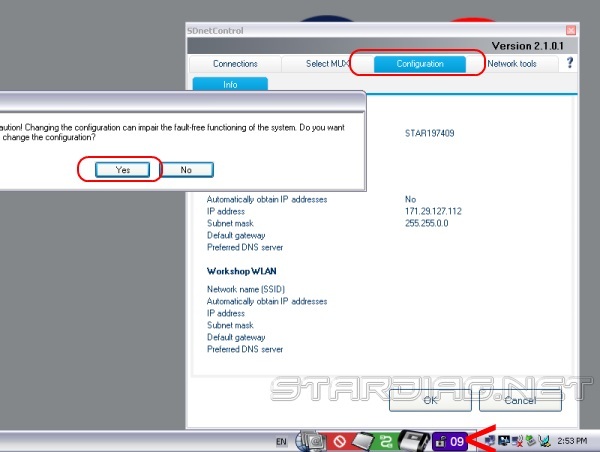 Make the configuration of the laptop for the WiFi connection. Click on all windows OK.
1.3. 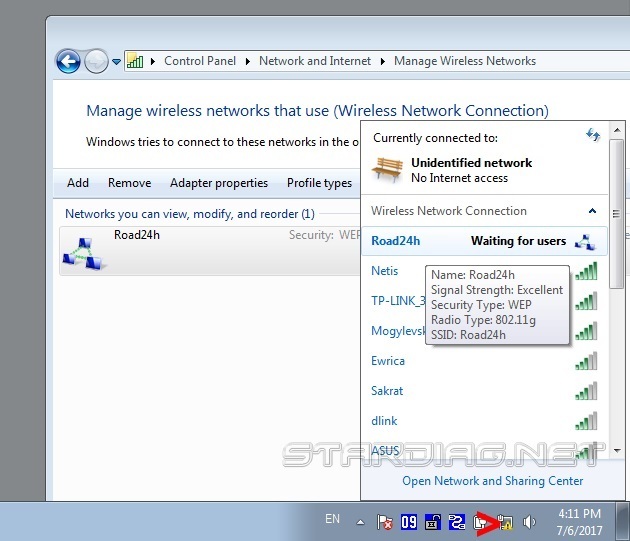 Create a wireless network Road24h. 1.4. Make configuration of a multiplexer for a wireless connection Wi-Fi. The appliance must be connected by cable and connection on a local network. Opens the configuration window of the multiplexer. The network key is 26 characters. In this case, 26 English letters “a” in lowercase. 2. 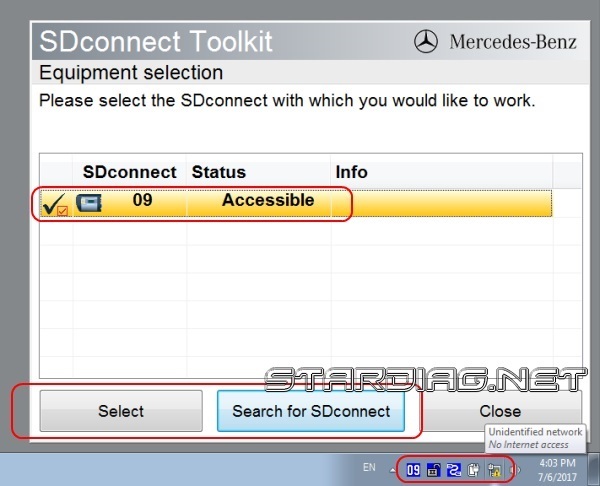 SD Connect configuration Road24h mode for Windows 7. 2.1. 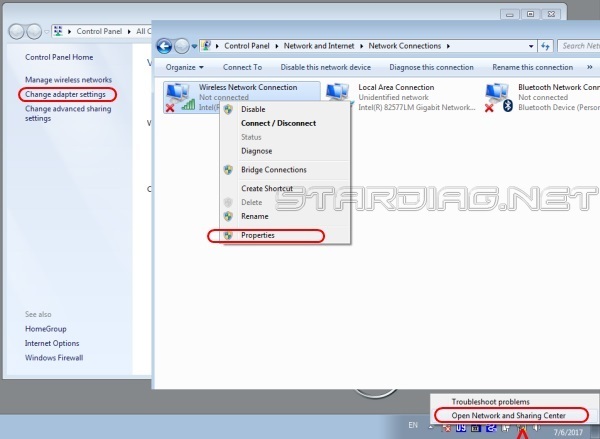 Make the configuration of the laptop for the LAN connection. The power supplied to the multiplexer and connected to the computer via LAN cable. Confirm all Windows with “OK”. 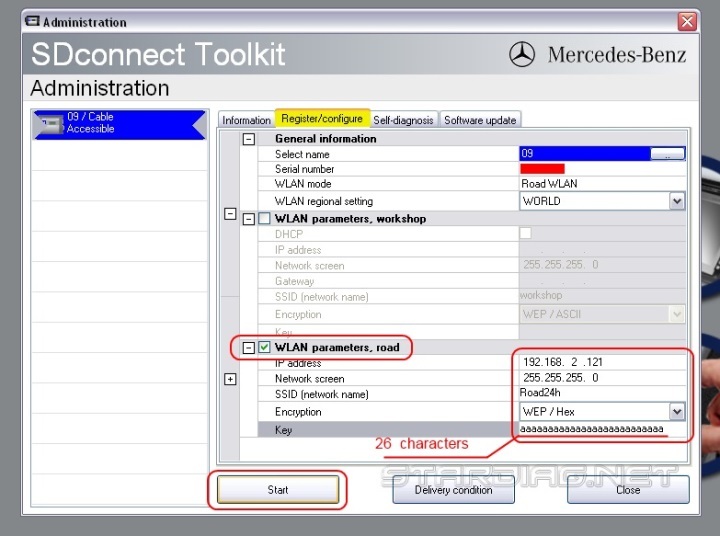 2.2 Enter the settings of the wireless WiFi adapter in the computer. Confirm all Windows with “OK”. 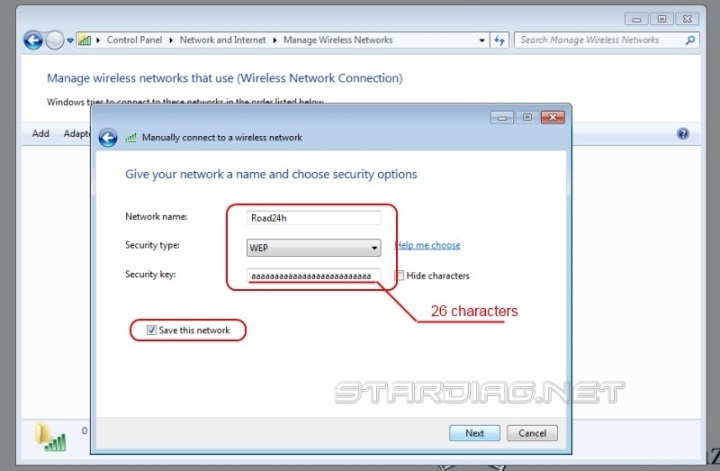 All the WiFi network settings entered in the computer. 2.3. 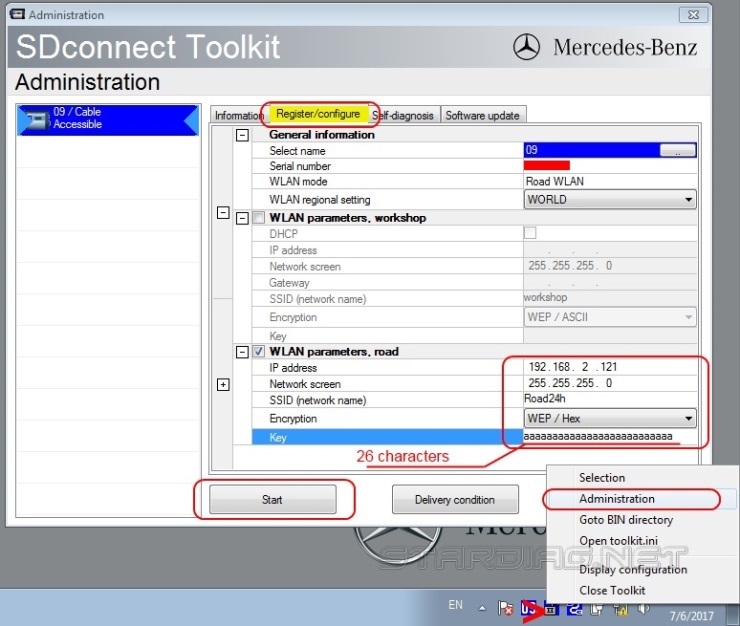 Create network “Road24h” in the computer. The device is configured, close all Windows, LAN cable disconnected. 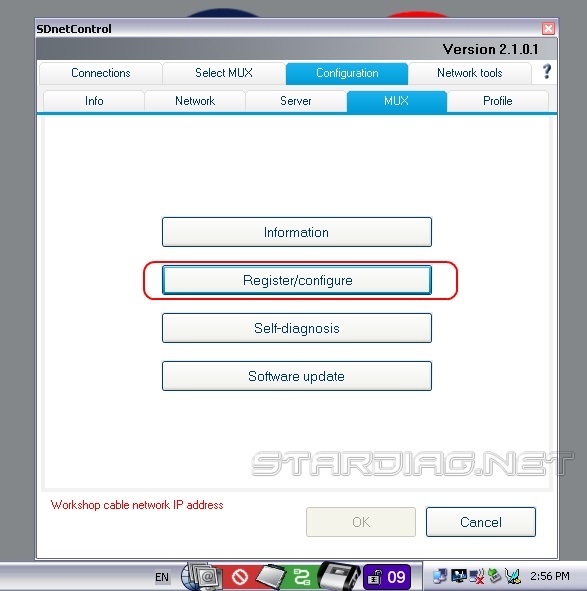 In this procedure the connection setup multiplexer SD Connect to work with Xentry OpenShell program under Windows 7 is finished. A diagnostic system is ready for operation. Turn on the computer, the operating system boots. Check in the list of networks network status “Road24h”. 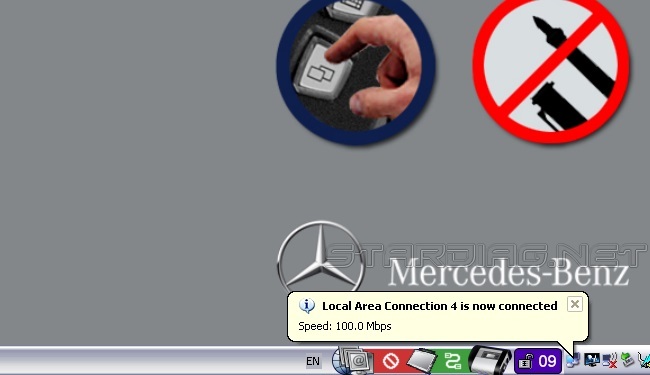 Status should be “Waiting for connection” user, if not, click “Connect”, the network status is changed to required. Then turn on the multiplexer. 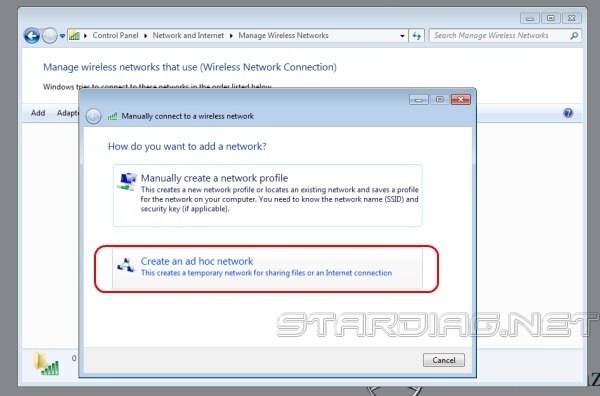 Connection via Wi-Fi network should be installed automatically.